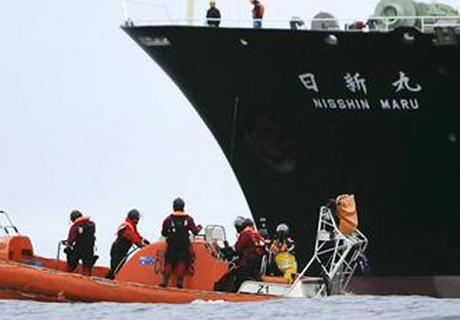 The Greenpeace spokesman said “they were only doing what they are born to do:kill for food”. What does he think man is to eat veggies. To Japanese Government Produce tons of krill for oil and give 10% of that to produce more whales and feed that 10% of krill. From Grandmother of the Earth Joella.